Our goal is to connect people with the best local experts. 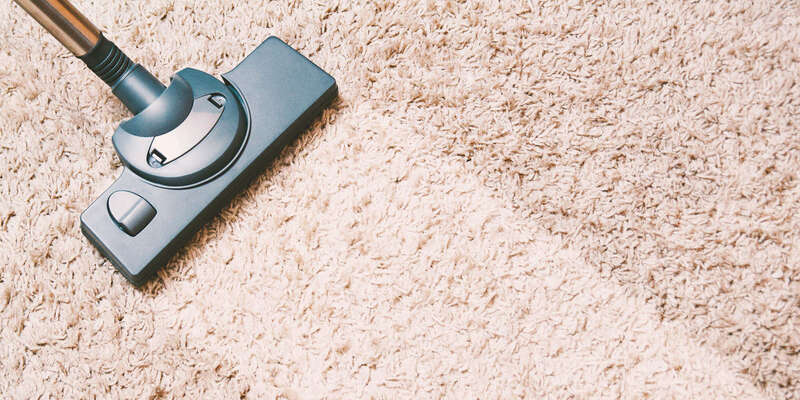 We scored carpet cleaners on more than 25 variables across five categories, and analysed the results to give you a hand-picked list of the best carpet cleaners in Seattle, WA. The Maple Valley father and sons team of A&A Pro Home Care, LLC cleans carpets in Greater Puget Sound, including Seattle, Kent, Covington, Renton, Federal Way, and Bellevue. Licensed and IICRC certified technicians clean area rugs, air ducts, stone, tile, leather, and fabric furniture in addition to carpets. A&A Pro Home Care is a member of the Maple Valley Chamber of Commerce and opened for business in 2002. Accel Carpet Cleaning technicians in Seattle provide competitive pricing and quick responses to customer calls for carpet cleaning services. Cleaning teams are licensed, insured, and available for weekend appointments. Upholstery and rug cleaning services are available for commercial and residential customers. Accel Carpet Cleaning opened for business in 1994. Advanced Carpet Care in Federal Way has served Seattle and most of the Puget Sound area since 1982. The full-service carpet cleaner uses the hot water extraction method and has a reputation for customer satisfaction. A team of technicians also cleans upholstery and works with crews from the company’s Advanced Restoration and Dry Squad divisions for more specialized carpet servicing. Customers may book appointments online. All Season Carpet Cleaning technicians have steam cleaned Seattle and Greater Puget Sound carpets since 1981. The Auburn local, family owned and operated business employs professionals who use environmentally-friendly, family and pet safe solutions. Services include carpet, upholstery, tile and grout, and mattress cleaning, pet odor removal, warranty compliance, and water damage restoration. A team of licensed carpet cleaning technicians represents Anderson Carpet, Wood & Tile Cleaning, providing truck mounted steam cleaning and specialty services in Seattle and the Eastside. The local, woman-owned business was founded in 1996 and offers 30-day guarantees, quick responses, pricing packages, and Saturday and evening hours. Carpet cleaners use organic products, also servicing area rugs, upholstery, wood, tile, and commercial flooring. Brandon Carpet Cleaning is a fully insured, family-owned, Mukilteo business serving Seattle and portions of Snohomish and King Counties since 1972. Technicians use the hot water extraction or steam cleaning method for home, civic, and commercial building carpet cleaning. Additional services include car and RV carpet cleaning, upholstery cleaning, anti-microbial treatment, deodorizing, stain and pet odor removal, and 24-hour emergency water extraction. Crystal Carpet Cleaning and Restoration is an owner-operated business serving Seattle and the Eastside since 1991. The IICRC certified cleaner uses environmentally safe detergents and truck mounted steam extraction. Licensed technicians are also available for 24-hour emergency cleaning, odor analysis and removal, flood and fire damage restoration, stain removal, and upholstery, leather, and hardwood cleaning. Additional professional associations include the Mechanical Systems Hygiene Institute and National Institute of Disaster Restoration. Seattle, Eastside, Pierce, and South King County customers may schedule carpet cleaning services online with Excel Carpet Cleaning Inc. The locally owned small business, founded in 1991, employs IICRC trained technicians to conduct truck mounted steam cleaning, as well as duct, tile and grout, upholstery, and area rug cleaning. Dry carpet cleaning and other methods are available if requested. Carpet cleaning processes and products used are safe for the environment, children, and pets. HydraClean NW employs a team of licensed, certified technicians to clean Seattle carpets with green methods and products. The staff holds certification with the Institute of Inspection Cleaning and Restoration, and cleaning products used are EPA approved and GreenSeal certified. Solutions are nontoxic chemicals, biodegradable, hypoallergenic, sustainable, natural ingredients, and mostly water and steam. Founded in 1993, Koller Carpet Cleaning is a small Bainbridge Island company providing traditional carpet and upholstery cleaning and specialized area rug washing services in the Seattle area. Licensed carpet cleaners recommend and apply the hot water extraction method, or steam cleaning, for carpets, and wash a variety of fine rugs by hand. Koller Carpet Cleaning is a member of the Association of Rug Cleaning Specialists. The owner-operator of Monarch Carpet & Upholstery Cleaning in Seattle is a second generation carpet cleaner. The business emphasizes maintenance, repair, and preventive measures in carpet cleaning. Technicians use nontoxic, biodegradable, alternative cleaning solutions and methods. Services include upholstery and leather cleaning, allergy treatments, black filtration soiling removal, auto and RV carpet cleaning, fire and water damage restoration, and odor and difficult stain removal. Cleaners serve King and Snohomish Counties. Premier Carpet Service cleaning crews are available 24 hours for emergency services in North Pierce and South King Counties. Carpet cleaning technicians provide a choice of green, traditional, low moisture, and Host dry cleaning methods. Traditional steam cleaning uses a truck mounted vacuum system. The company’s green carpet cleaning method applies 100 percent plant-based resources and a small amount of water. Services also include vehicle and upholstery cleaning. PureClean Carpet Cleaning crews improve indoor air quality and educate homeowners about good carpet care. The carpet cleaning company serves Snohomish and King Counties. All products used are CRI, Green Seal, and Indoor Air Quality Association certified. Certified carpet cleaning technicians remove stains, clean upholstery, mattresses, and hard surfaces in addition to deep cleaning carpets with truck mounted extraction. Allergy treatments for carpets are available. Reliable Carpet Cleaning technicians are licensed to provide green carpet cleaning services in the Greater Seattle Area. Cleaners use environmentally friendly, safe, organic, nontoxic and non-irritant products to clean upholstery, rugs, and carpets. Carpet cleaning is by hot water extraction with a truck mounted vacuum system. Additional services include stain and odor removal and water extraction. Most Reliable Carpet Cleaning jobs are for referred and repeat customers. A crew of carpet cleaners working with Solution Carpet Cleaning will try to save any area carpet through cleaning or repair. All cleaning agents used are natural, nontoxic, plant-based solutions, such as bergamot and sage oil. Additional areas of expertise include cleaning upholstery, tile, stone, and oriental and area rugs. Solution Carpet Cleaning has been providing professional carpet cleaning services in Bothell, Mill Creek, and surrounding areas since 1982. Soundview Cleaning is a full-service cleaning company providing carpet cleaning in Gig Harbor, Key Peninsula, and Pierce and Kitsap Counties. Teams are available for same day or regularly scheduled service, covering carpet, upholstery, hardwood, and general home and janitorial cleaning. Technicians clean carpets within manufacturer standards for warranty compliance. Pet odor removal is available. Soundview Cleaning has been in business in the Seattle area since 2000. Spot On Cleaning Services is a Bothell business providing carpet cleaning services in the Seattle and Mill Creek areas. Technicians steam clean carpets with truck mounted extraction. Additional services include pet stain and odor removal, emergency water extraction, upholstery, tile and grout cleaning, and general house cleaning. Crews provide green, eco-friendly products and processes upon request. Home and business customers may schedule cleaning services online. White Cleaning Services is a locally owned and operated Seattle Metro business specializing in upholstery and carpet cleaning. IICRC certified carpet cleaners have been cleaning home and commercial buildings in the Puget Sound area for more than 15 years. Technicians steam clean carpets with truck mounted hot water extraction. Services also include hard floor cleaning and odor and stain removal. New customers may be eligible for discounts. Cleaning technicians with Wipe Out Carpet & Upholstery Cleaners work to refresh worn carpets. The Edmonds area business provides green carpeting services to Seattle area residential and commercial customers. Employees restore and remove stains from a range of carpet materials, including plush, loop pile, and oriental rugs. Xtreme Clean Carpet Care in Tacoma employs carpet cleaning technicians who use a nontoxic, perfume free, fabric safe, clean rinse solution to steam clean carpets. The Seattle area carpet cleaning business serves customers in Tacoma, Lakewood, Puyallup and surrounding communities. Additional services include carpet repair and stretching, deodorizing and odor control, and satisfaction guarantees.